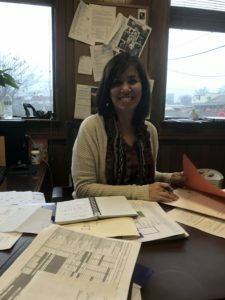 AmeriCorps Spotlight: Susan Carminucci - CARITAS - Shelter. Jobs. Recovery. Hope. What that means: I have the privilege of working beside awesome people who have a heart for serving the most vulnerable in our community. CARITAS is a place where AmeriCorps members GET THINGS DONE and make a difference EVERY DAY! Background: Having lived (happily) in the Richmond suburban bubble for much of the last 20 years, I started managing the AmeriCorps program in 2010. It not only opened my eyes as to the basic needs of my own community, but my life has been enriched by the many friendships forged while serving others. Hobbies & Interests: My husband and I have three children who have all grown up serving through CARITAS. I was/am the baseball, field hockey, band, crew and service mom. I love being a mom and often rely on those skills at work! My children’s favorite saying about me is “everything is a life lesson”. They usually accompany that with an eye roll, but that’s beside the point! Favorite Place I’ve Lived: New York City in my 20’s because of the electric pace; Virginia all other times because of the easy pace. I Can’t Live Without: McDonald’s fish sandwich… don’t judge me! Best Part Of My Service Position: The people, the people, the people!! !